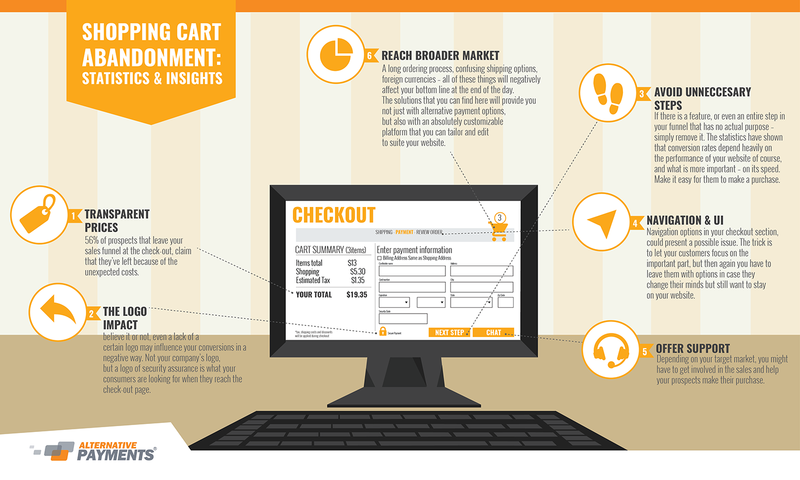 Did you know that, in average, shopping carts get abandoned in 68.63% of the times? While this statistic may present a discouraging fact for small retail owners, the truth is that this rate is alarming even for large enterprises. The reality is that you can undoubtedly utilize your shopping cart system, and increase the number of conversions right there in the crucial step of your sales funnel. But before we start discussing how, let’s address the issues. While you will certainly never stop optimizing your website in order to gain more converting traffic, your most valuable prospects should be on their way of becoming a regular client once they reach the shopping cart section. The fact that they aren’t is what concerns us. So here is a short but comprehensive list of your Shopping Cart influencing factors, common design issues, and a few actionable tips on how to build a bulletproof check-out register. Believe it or not, even a lack of a certain logo may influence your conversions in a negative way. Not your company’s logo, but a logo of security assurance is what your consumers are looking for when they reach the check-out page. A transparent image that will confirm the safety of the purchase and the discretion of transaction in question is one of the elements that are causing your shopping cart abandonment and overall conversion rate. 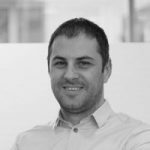 A case study conducted by GetElastic, confirmed that after implementing icons and other methods of making their security measures transparently presented within their check-out page, this company started recording a significant increase in conversions (4-6%). 56% of prospects that leave your sales funnel at the check-out, claim that they’ve left because of the unexpected costs. While 37% of potential customers reach your checkout only by browsing, the great majority makes a decision to quit after they re-evaluate the overall cost of the service or product (32%). Keep your prices transparent. Hardly anyone won’t mind seeing that bottom line figure increasing with no notice. So if you want to keep the customers, and keep them coming back, make every feature and every cost clear. If there is a feature, or even an entire step in your funnel that has no actual purpose – simply remove it. The statistics have shown that conversion rates depend heavily on the performance of your website of course, and what is more important – on its speed. Studies have shown that a one second delay, in loading time, adds up to approximately 7% of decrease in conversions. This is why you should keep only the steps of the funnel that you actually need. Don’t ask for info that you actually don’t care about, keep your forms short and your design flat. The experience of the purchase should be smooth, fast and complementing so reduce all fields to minimum, and even entire steps could be skipped in case if you don’t need them. Navigation options, in your check-out section, could present a possible issue. The trick is to let your customers focus on the important part, but then again you have to leave them with options in case that they change their minds but still want to stay on your website. Make your shopping cart easily editable, include the option that will allow your customers to leave the shopping cart and get back to the product categories, but also implement and highlight your calls to action. You don’t want your prospects to leave the website, even if they don’t wish to buy your product, but you also don’t want to encourage them to leave the shopping cart at all. Depending on your target market, you will have to get involved in the sales more or less and help out your prospects to make their purchase. Be advised that exceptional service of this sort will not only get more purchases, but also more leads through referral. 25% of prospects leave the page because they couldn’t figure out how to navigate through your check-out form. Installing a chat widget is a great idea, since this type of communication and support will build your fan base, encourage brand loyalty and increase the overall number of conversions. Long ordering process, confusing shipping options, foreign currencies – all of these things will negatively affect your bottom line at the end of the day. The solutions that you can find here will provide you not just with alternative payment options, but also with an absolutely customizable platform that you can tailor ad edit in accordance to your website. It will help you reach broader audience, make more sales on the global market, and the best part about it is that integration of this widget is simple for integration. At the very end, make sure that your funnel is comprehensible, logical, and that people don’t have any questions about how to navigate through it. Consider offering free shipping as well. Believe it or not, 69% of the shoppers prefer buying goods from companies that handle their own shipping. That fact alone will influence your conversion rate increase significantly. There are 0 comment. on "Shopping Cart Abandonment: Statistics & Insights"